Subway/Metro: An easy way to come from the airport to the city is by metro. The frequency of passing trains is every 7 minutes or so, but it can be reduced to every 4 minutes in specific occasions that generate high demand. The estimated travel time is 30 minutes from the T1 airport´s terminal to the stop Collblanc where you should switch metro line and take the L5 line with destination Vall D Hebrón. Your stop is the Diagonal. 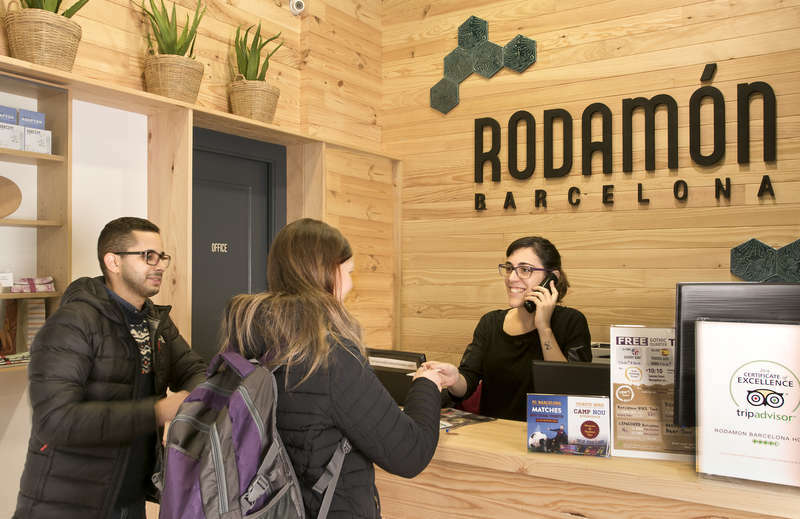 Rodamón is located 1 minute walking distance away from Diagonal stop. It runs until midnight. Airbus: If you choose this option, you should stop at square Catalunya (last stop). From there you can take the metro L3 from Catalunya and stop at Diagonal L3. If you prefer to walk from Catalunya we are 20 minutes walking distance from there just walking straight the Passeig de Gracia until you see the street Corsega where you have to turn on the left. Train: (Only from Terminal 2) From Terminal 2 there is a direct train that pass every 30 minutes. You have to stop to Passeig de Gracia in the city center. We are a few minutes away walking distance from that stop of the train. If you choose this option, you should go out to the street of Passeig de Gracia and walk straight up for 5 minutes until you find the street Corsega. Then, you turn on the left till you find the number 302. The hostel is exactly next to the organic super market veritas. This property has a 2 day cancellation policy. Cancel for free up to 48hours before 2pm of the arrival day (Barcelona's time zone). 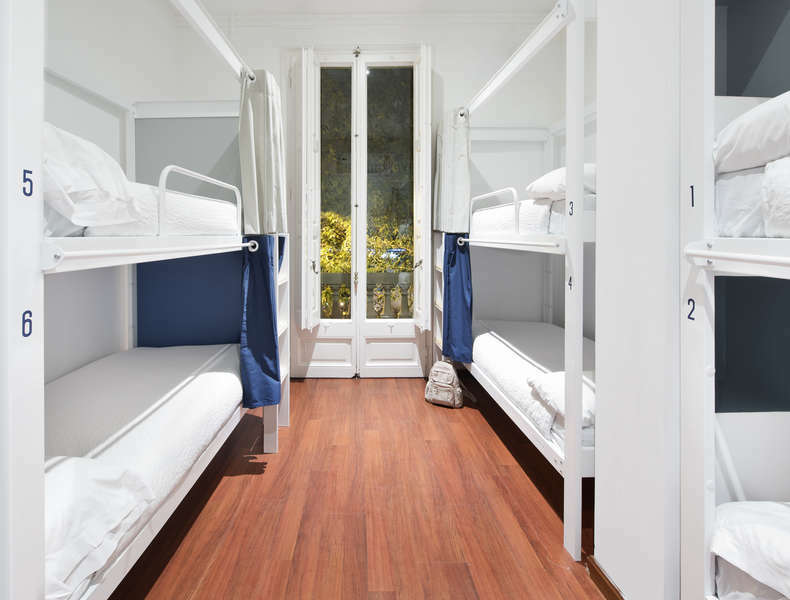 Where the Customer fails to give sufficient notice of cancellation or fails to arrive (no show) at the Hostel, before 4am of the arrival date, the Booking will be deemed cancelled and the Customer must pay the Hostel an amount equivalent to the Charges applicable to the full amount of the stay at the Hostel.